The official Emmy ballots are here and kick off the two-week nomination period that will end on June 25th. In order to be nominated for a Primetime Emmy Award you must be on this list. You can be submitted by your network, by your show’s production or by yourself but you gotta be on the list. There are over 22,000 members of the Television Academy who will be voting on nominations from the 728 shows in the running at this year’s Emmy Awards, up from 710 last year. They will come up with seven nominations in Drama Series and Comedy Series, six for other categories. The Performer and Casting branches (totalling around 2,000 members) will weed through 2,372 performers who are entered in the 16 races in the series, TV movies and limited series categories. 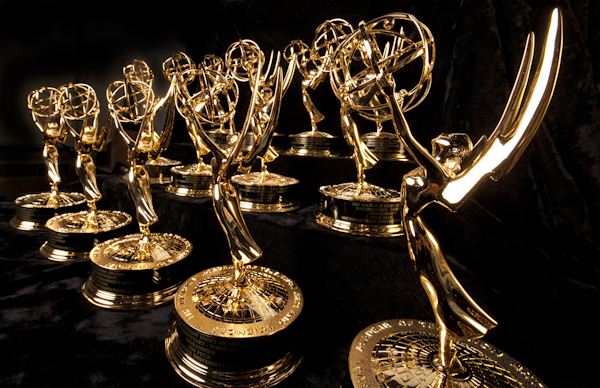 The 70th Primetime Emmy Award nominations will be announced on July 12th. Here is a list of notable submissions in Comedy and Drama directing, writing and acting categories. Atlanta (FX) has two submitted episodes in Directing – “FUBU” from Donald Glover and “Teddy Perkins” from Hiro Murai. Donald Glover won this category last year for the episode “B.A.N.” They’ve entered three episodes for writing. GLOW (Netflix) entered just two episodes; its pilot directed by Jesse Peretz and “Maybe It’s All the Disco” from Sian Heder. It also has just two episodes submitted for writing. The Marvelous Mrs. Maisel (Amazon) also entered two episodes – its pilot directed by show co-creator Amy Sherman-Palladino and “Mrs. X at the Gaslight” from Scott Ellis. Only the pilot was submitted for writing. Transparent (Amazon) has a single entry show in directing for creator Jill Soloway and has won this category twice (both for Solloway) but seven entered in writing. Roseanne (ABC) has three submissions, entered before the cancelation of the show and of its Emmy push. Will & Grace entered just one episode and with the new rule about including multi-cam shows in this category it’s all but assured a nomination. James Burrows has earned six nominations just from Will & Grace but has yet to win for it. It has four writing submissions. The Americans (FX) has two episodes submitted for directing but has never been nominated there before. It strategically entered just one episode for writing, for the series finale. It’s been nominated for writing for the last three years in a row. Game of Thrones (HBO) has four episodes submitted for directing (it’s won twice) and a single episode for writing where it’s also won twice. The Handmaid’s Tale (Hulu), the current Drama Series champ, has a single episode submitted for writing and two for directing – it won both of these last year. Breakout hit Killing Eve (BBC America) has very strategically submitted the same single episode (“Nice Face”) for both writing and directing. Netflix’s Mindhunter has four directing submissions (including from Emmy-winning director David Fincher) and one in writing. Stranger Things (Netflix) has two directing submissions and one in writing; it was nominated for both last year. The Crown (Netflix) has a single submission in directing and writing, both nominations it received last year in its freshman season. This Is Us (NBC) entered just two episodes for writing (including the Jack’s death ep “Super Bowl Sunday”) and just two in directing (including “Super Bowl Sunday”), learning its lesson from last season where it didn’t earn a nomination in either category (too many submissions) despite a Drama Series nom and seven acting nominations (including two wins). Westworld (HBO) has five writing entries and four in directing. It earned nominations in both last year as a part of its total of 21 but was not up against Game of Thrones, which aired out of last season’s eligibility. The TNT comedy Claws is officially running as a Drama Series. The Fox sci-fi parody The Oroville is submitted in Drama as well. The NBC dramedy Good Girls is in Drama. Bradley Whitford, who appears in the second half of The Handmaid’s Tale‘s second season, is not eligible for submission this year and therefore was not entered. THT isn’t hurting for entries though, it has 12 contenders including three in Supporting Actor (O-T Fagbenle, Joseph Fiennes and Max Minghella), four in Supporting Actress (Alexis Bledel – who won Guest Actress last year, Madeline Brewer, Ann Dowd – who won Supporting Actress last year, Yvonne Strahovski) and four in Guest Actress. (Kelly Jenrette, Marisa Tomei, Cherry Jones, Samira Wiley – who was nominated in Supporting last year. Over in Westworld, category flips happened with Jeffrey Wright, who upgrades to Lead after a Supporting nomination last year and Anthony Hopkins, who lands in Supporting after a Lead nomination last year. Wright will compete with Ed Harris (who also moves up to Lead from Supporting) and Hopkins will go up against Clifton Collins Jr., Luke Hemsworth, Louis Herthum, James Marsden, Zahn McClarnon and Simon Quarterman. In all, Westworld has a whopping 21 entries for acting. Game of Thrones sees moves for Kit Harington, up to Lead from Supporting last season, his first nomination. Emilia Clarke also moves up to lead, having been previously nominated three times in Supporting. Margo Martindale has three separate submission this year; Supporting Actress in a Drama Series for both The Americans (where she’s won in Guest twice) and Sneaky Pete and in Guest Actress in a Drama Series for The Good Fight. With The Americans, Martindale will go up against series regular Holly Taylor and Miriam Shor, new to this season. Although Stranger Things has a massive nine contenders in Supporting Actor (including David Harbour, a nominee last year) there is a clear standout to join him in Noah Schnapp with a strong arc and critically lauded performance. For the full lists of categories and ballots visit emmys.com.